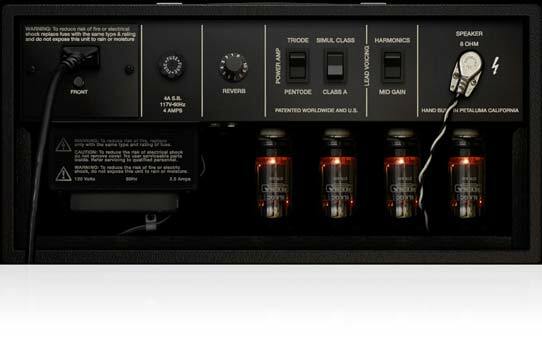 Plug into a MESA/Boogie® amp and it will change your ideas about tone and your playing forever. Seriously, it really will. From the moment you first plug into a MESA, you’ll experience new levels of responsiveness, feel, nuance, and sound and you’ll quickly understand why MESA has always referred to their amplifiers as “Instruments”… because they are! After experiencing your guitar coupled with the effortless and empowering playability and a new freedom to express emotion through attack and sustain characteristics that seem to read your passion… for most, there is no going back to “an amp”. It’s hard to put into words the feeling of reward you get when all the hours of practice are suddenly supported and embellished and your playing jumps to a whole new plateau. But it’s REALLY great, and as soon as you plug in, you get it. The instant attack morphs stylistically under your command, the layers or rich harmonics create dimension and the newfound, willing sustain grant you access to the next level in your own development as a player. The MESA experience will leave a permanent mark on the musical part of your brain and you’ll find you’ re smiling… saying under your breath, “damn this sounds good.” It’s that sound you’ve heard in your head and searched for all your playing life and yet, never attained until now. That’s a Boogie®. And now you can have the essence of Boogie on your laptop. If you’re a tone-seeking adventurer, IK Multimedia is pleased and honored to bring you the Official co-developed Suite of Mesa/Boogie’s most acclaimed amplifiers for your laptop, desktop and DAW. No one speaks high-gain guitar like MESA/Boogie. Since the late-'60s, Randall Smith, and from 1980 on, Dan Van Riezen, Doug West and James Aschow have been smashing the boundaries of heavy guitar with a myriad of innovative and handcrafted instruments and speaker enclosures. 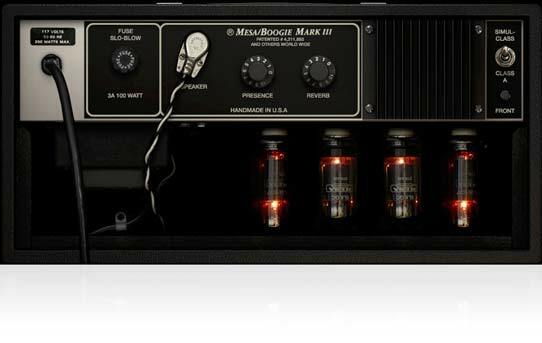 Four decades later, AmpliTube MESA/Boogie, gives you convenient access to 5 amps and cabs from their most toneful and popular lines, allowing you tap into the thick, rich sound that so long ago prompted Carlos Santana to make his ”mark” on the brand and famously say, "Man, this thing really boogies!" Hello from the [digital] tone farm! 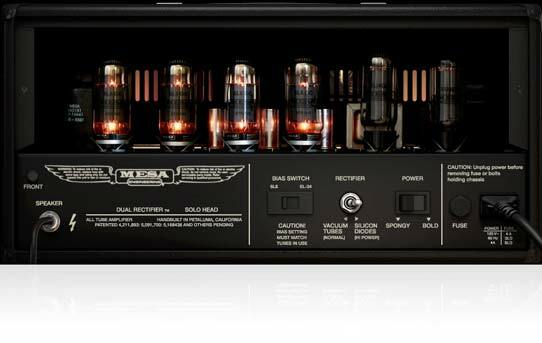 AmpliTube MESA/Boogie is the most comprehensive collection of officially licensed MESA/Boogie virtual guitar amps and cabinets on the market. Now you can plug in and experience legendary tone wherever your computer can take you: You get everything from the violin-like sustain of the Mark series to the aggressive, huge crunch and searing gain of the Rectifier series. And, like all AmpliTube gear, we've meticulously crafted these models to sound, look and perform just like their hardware counterparts. Each virtual model has been painstakingly and meticulously scrutinized, tested and approved by our devoted team of talented engineers and by the guys who created these sounds at Mesa Engineering to ensure they perform like the real thing. With the addition of MESA/Boogie to AmpliTube Custom Shop, the world’s biggest library of official virtual gear just got infinitely more versatile, and certainly more soulful. 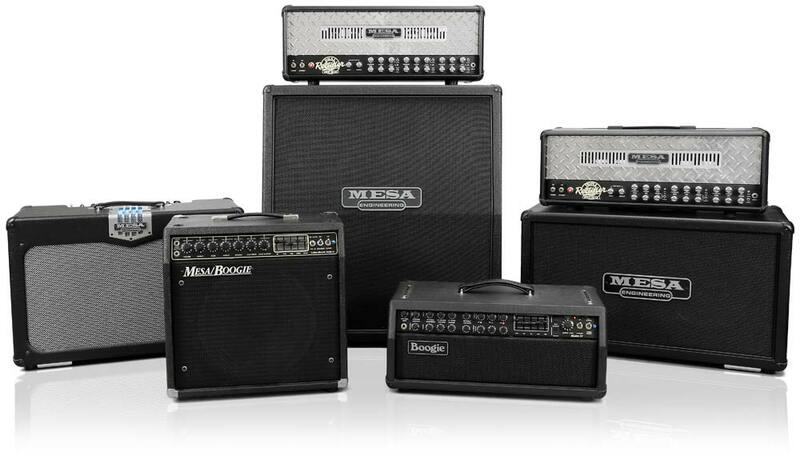 MESA/Boogie amplifiers have provided their signature tone to a wide variety of players from around the world. This includes iconic pioneers like Carlos Santana, Pete Townshend, Keith Richards, Larry Carlton, Robben Ford, Al DiMeola and also modern heroes like Metallica’s James Hetfield and Kirk Hammett, Dream Theater’s John Petrucci, Foo Fighters’ Dave Grohl, Lamb of God’s Mark Morton and Will Adler, Johnny A, Andy Timmons… the MESA list of guitar greats with noteworthy tone goes on and on. And there’s a good reason for its impressive roster of players. 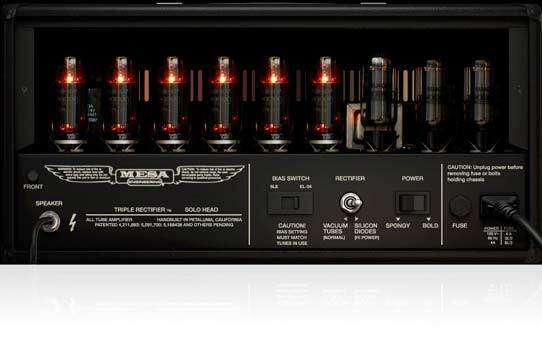 MESA/Boogie has pioneered the biggest advances in amplifier technology of the past 40 years. Its innovative “cascading” tube preamp offered multiple stages of gain that introduced guitarists to a world of near infinite sustain and aggressive crunch separate from volume that simply didn't exist before. Their creation of the world’s first Dual Mode footswitching amp in 1980, the MARK II, ushered in a new bottom-line for live-performance guitar. Later II, III and IV MARK amplifiers unveiled nearly all of the now-common pro features players have come to expect. From Switchable Power Reduction to Effects Loops, Switchable Rectifiers to Switchable Speaker Cabs, Voicing Switches to on-board Graphic EQ, Simultaneous Modes of Tube Wiring to Channel Assignable Power Ranges and Classes of Operation, it was all seen first on a Boogie. 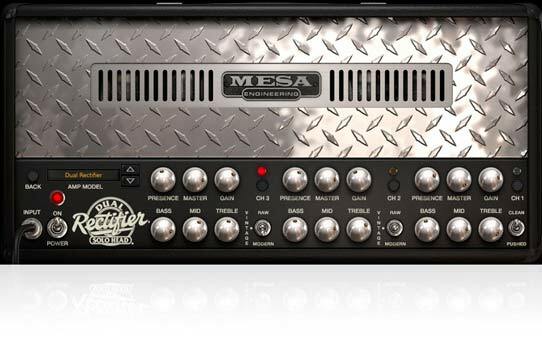 All of MESA Engineering’s designs have helped to set the stage for entirely new and successive waves of era-defining sounds and the music those sounds inspire, like the MESA Dual and Triple Rectifiers, which gave the world a searing mid-range crunch and HUGE, percussive low end that's dominated hard rock and metal since its introduction 24 years ago. 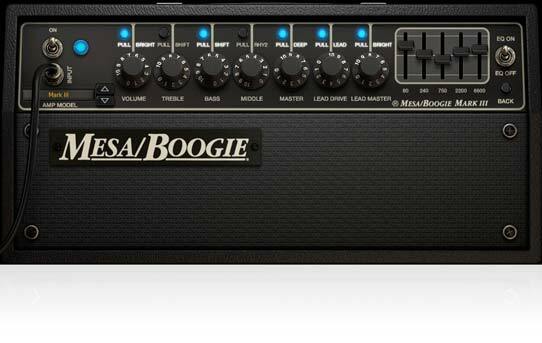 AmpliTube MESA/Boogie gives you a full spread of gear that represents the breadth and versatility of the many faces of MESA/Boogie. 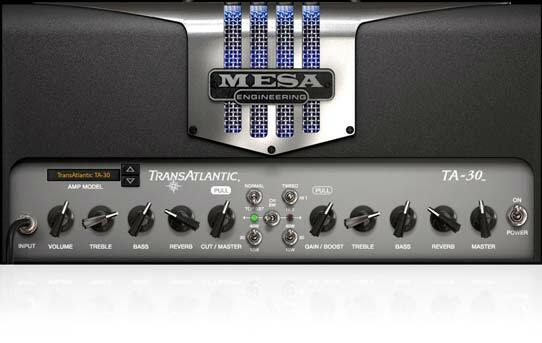 The line-up includes 5 amplifiers with matching cabinets: The Boogie Mark III, MESA and Boogie Mark IV, MESA Dual Rectifier, MESA Triple Rectifier and the master of mid to classic gain Brit, the TransAtlantic TA-30. Each amplifier and cabinet has been rendered with the same degree of integrity and attention-to-detail that goes into the company’s physical products — both the front and the back panel controls have been replicated to provide performance and function with astounding realism. Like all AmpliTube products, AmpliTube MESA/Boogie is intuitive, easy-to-use and provides for a ton of different creative possibilities. You get plenty of signal routing options: two separate paths, each with a complete setup, can be played simultaneously, or you can configure the signal path to double the available stomps, amps, cabinets and racks effects to create one gigantic rig. The AmpliTube MESA/Boogie signal chain includes 5 individual components, with up to 12 simultaneous stomp-boxes, 2 amp heads, 2 cabinets with 2 microphones and 8 rack effects that can all be configured and used simultaneously. And, of course, you can mix and match your favorite AmpliTube MESA/Boogie gear with other AmpliTube models to create your own one-of-a-kind tones. AmpliTube is fully MIDI compatible, so all the knobs, controls and presets of AmpliTube MESA/Boogie can be assigned and controlled with a standard MIDI controller (through a high-quality interface like iRig MIDI 2) or iRig BlueBoard. With AmpliTube MESA/Boogie, you’ll enjoy inspiring sound and feel from your computer that’s extremely close to playing the amp in your living room. That level of accuracy and enjoyment should come as no surprise, considering that IK’s team of engineers have spent almost the past two decades tearing apart vintage gear, analyzing it and reconstructing it for virtual use. Our special modeling technologies, like DSM™ (Dynamic Saturation Modeling) and VRM™ (Volumetric Response Modeling), give you the tone that you crave, right when you want it. And only AmpliTube gives you the ability to “try before you buy.” You can download full working copies of any of the AmpliTube MESA/Boogie amplifiers from the AmpliTube Custom Shop and try them out free of charge.